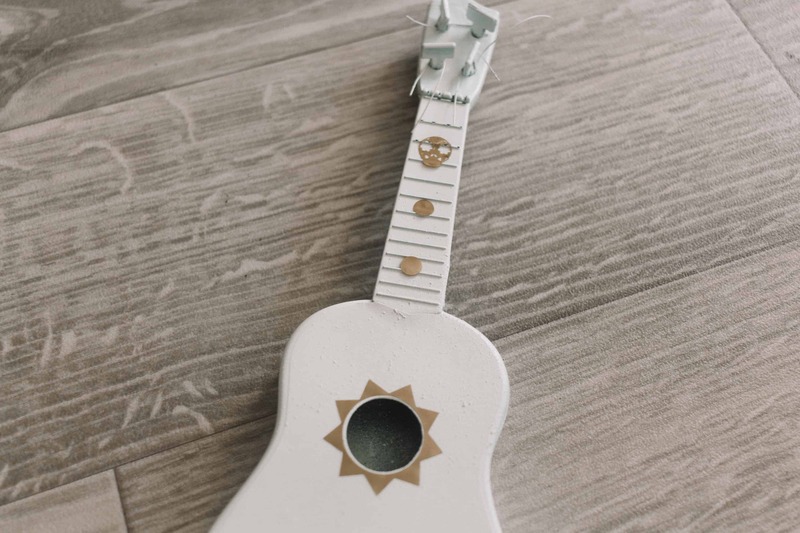 Grab a dollar store ukelele or thrift guitar and make it over with this Coco Guitar DIY from the hit Disney movie. 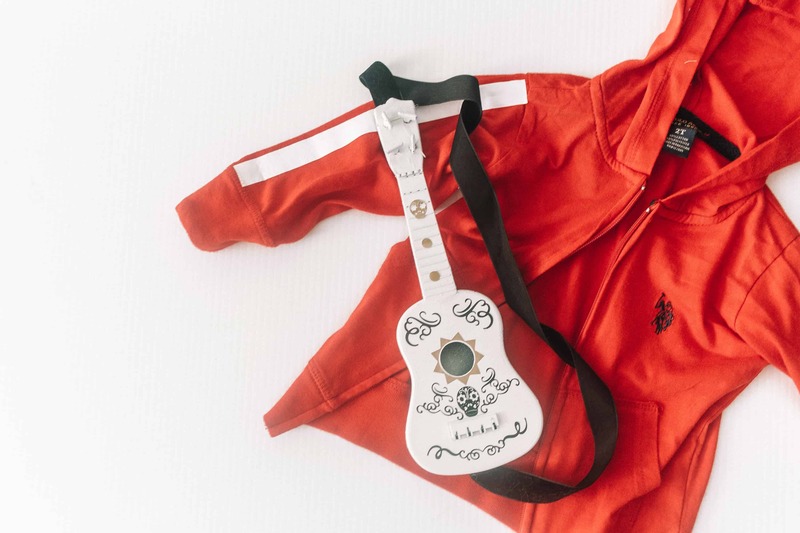 Perfect for a Miguel Coco Halloween Costume for just for a Coco Fan! I’m so stoked to share this DIY with you today because it turned out SO CUTE! 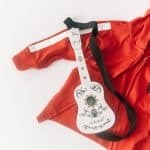 Be sure to check out the full finished Miguel costume here over on my blog, Practical and Pretty! The first thing you need to do is cut your vinyl! 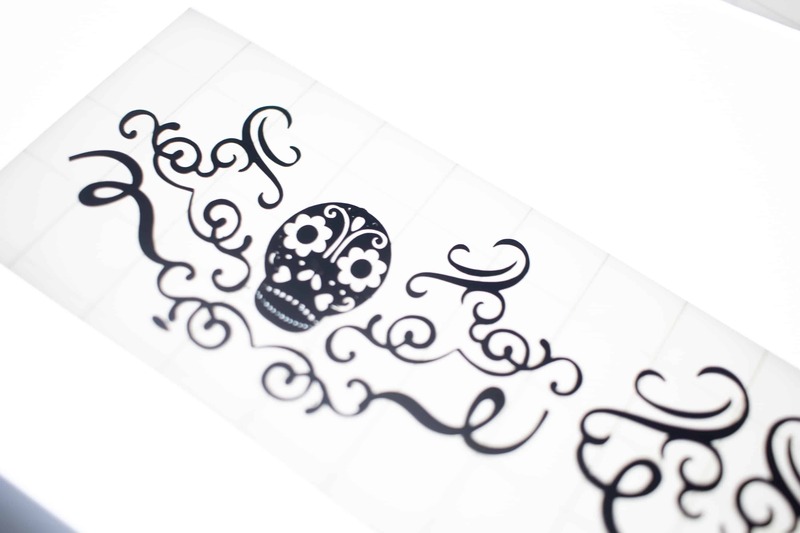 This is a pretty intricate little design; however it’s small! The good news is you won’t need much vinyl and if you mess it up you’ll have plenty left. 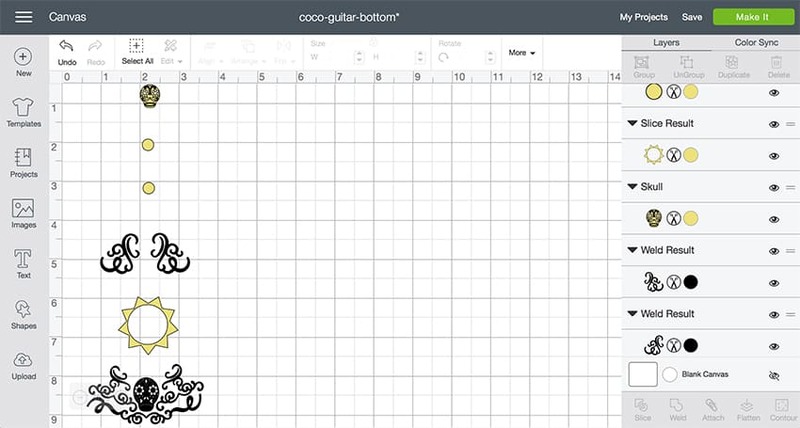 To cut the vinyl, open this Cricut Design Space File here —-> Coco Guitar Bottom Vinyl Cutout! After your vinyl is cut, you will want to use your BrightPad to weed it! If you’ve never used a BrightPad, this project will 100% make you understand what’s so wonderful about them! Weeding black is hard enough, but weeding an intricate design like this makes it even more challenging. The BrightPad will help you know what to and not to weed. Look how well you can see your weeding here! 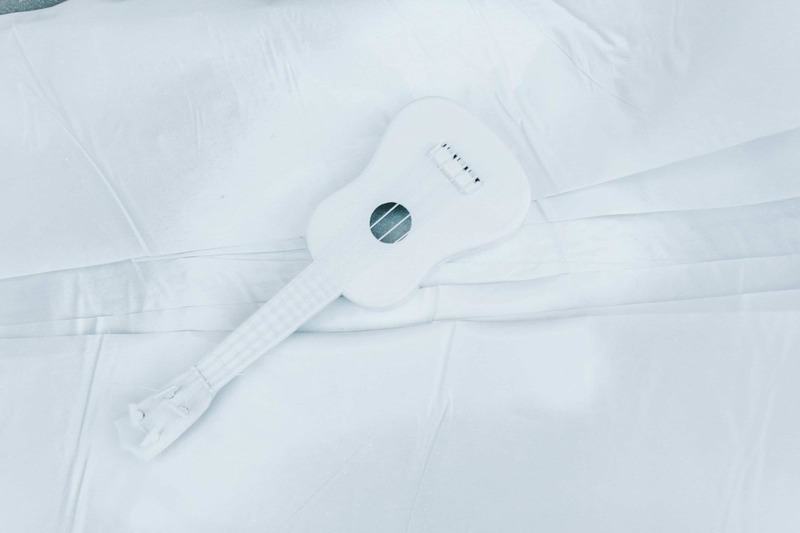 While you are doing this, pull out a can of white spray paint and spray your guitar. 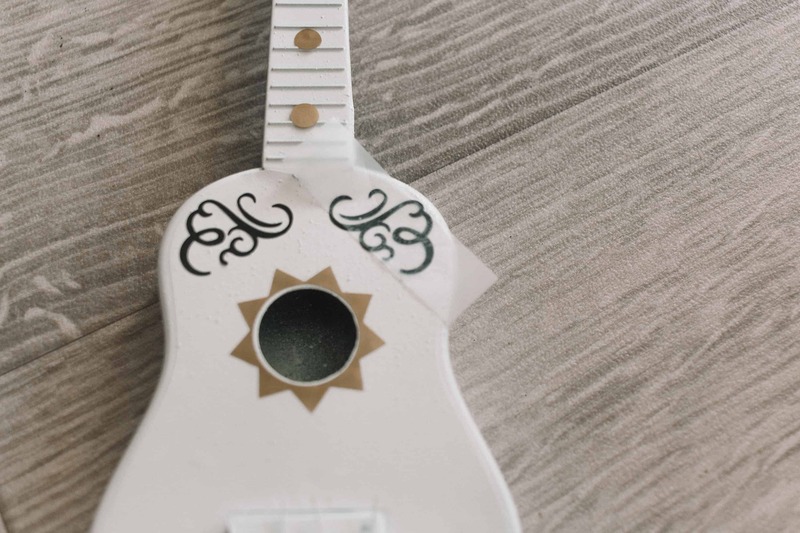 After the first coat, I decided to cut my strings off the toy ukulele, so it was a little easier to paint. Spray as many coats as you feel it needs, but make sure to do light coats, so it doesn’t get any streaks! 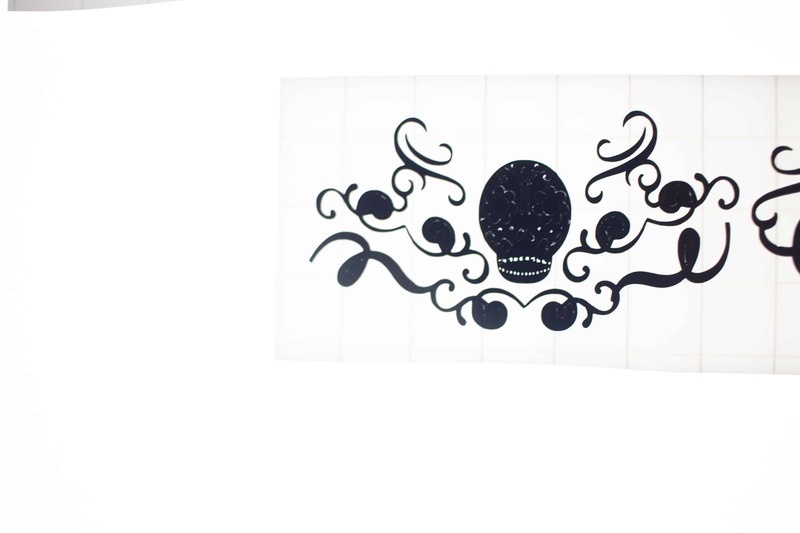 After it is dry you will place your vinyl decals. I decided to just use scotch tape to transfer this design, because I wanted it to not be very sticky. 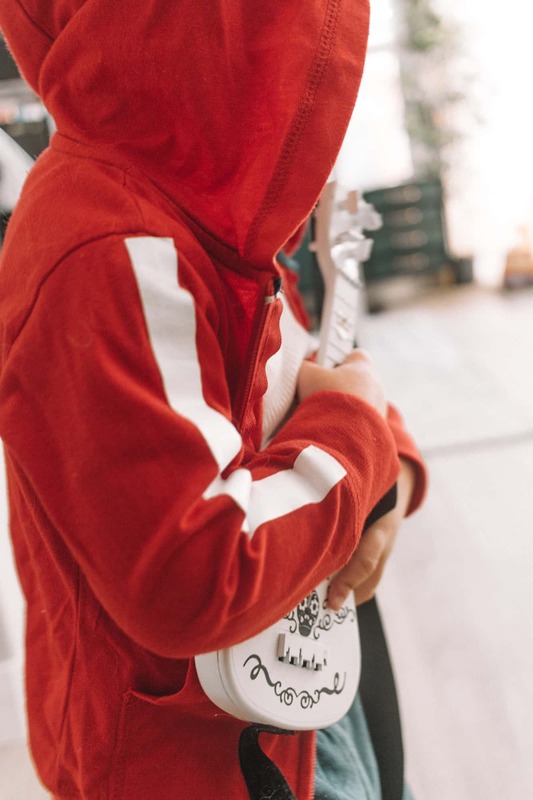 I didn’t want to chance that the paint would pull off the guitar! Depending on the size of the ‘guitar’ you are decorating, you may want to put them in different places than I did! There was a little thing in the way of my bottom of my guitar so I had to cut mine up a little and rearrange it. 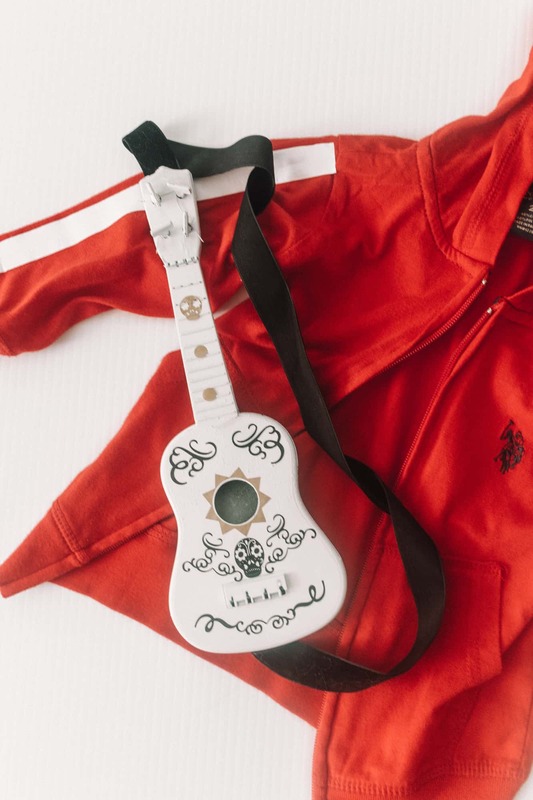 Once all of the vinyl is placed, you can glue on the velvet ribbon as a way for your child to hold it. This is totally optional, but I wanted to so my son could sling it on his back! Turns out he didn’t want to sling it on his back for a picture, but we will try again on halloween! 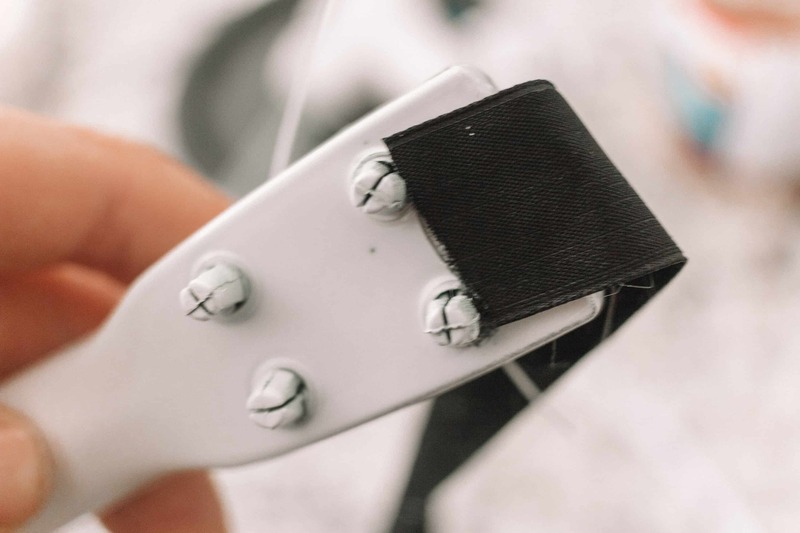 I glued it to the top of the neck as well as the bottom part of the guitar. This is not a permanent solution with a lot of use, but for a costume it works just fine! 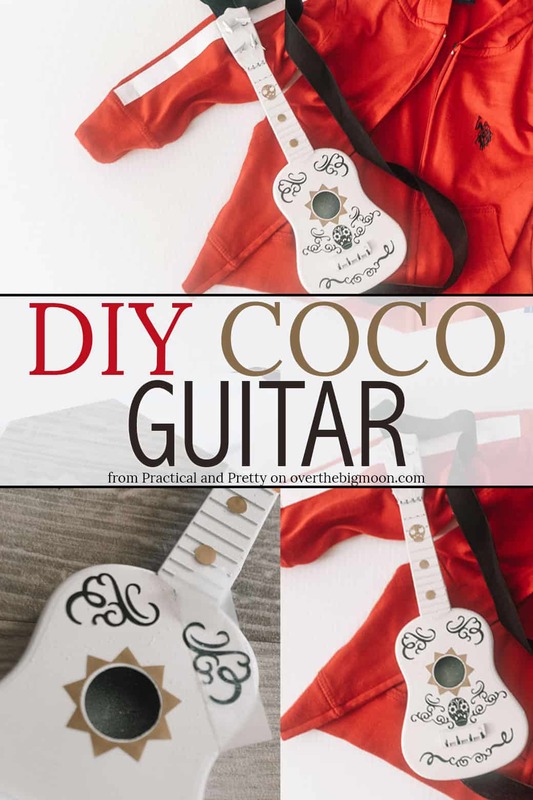 Then you are all done with your Coco Guitar DIY!! I am so in love with how this turned out. I think it is so fun! My son seems to like it a lot too! For the full tutorial of the costume go here! If you love this fun DIY – I’d love it if you pinned the image below! I’m Anna, and I don't think style has to be sacrificed for price! I love creating DIYs that don't look homemade and look deceptively expensive. I just had my first little one with my incredibly supportive husband Ryan. I got my degree in Mathematics and work full time at home, but also run Practical and Pretty! I hope you like saving time and money, because that's what I'm here for!